Ndugu Watanzania, Kama mnavyofahamu kuwa ibara ya 132(4) na (5) na Sheria ya Maadili ya Viongozi wa Umma, Sheria namba 13 ya mwaka 1995 inataka viongozi wote wa umma kujaza fomu za Tamko la Rasilimali na Madeni. Tamko hilo huwasilishwa Sekretariat ya Maadili ya Viongozi kabla ya mwisho wa kila mwaka. Kama nifanyavyo siku zote, nawajulisha rasmi kwamba nimetimiza matakwa hayo ya katiba na sheria kuhusu Maadili ya Viongozi. Inafahamika kuwa Chama Cha ACT Wazalendo, kwa mujibu wa Katiba yake na Azimio la Tabora, kimeelekeza kuwa Viongozi wake wote waweke wazi kwa Umma Tamko la Mali, Madeni na Maslahi. Kwa kufuata masharti ya Katiba ya Chama Cha ACT Wazalendo natangaza rasmi fomu zangu nilizowasilisha Leo Sekretariat ya Maadili ya Viongozi wa Umma. Ni matumaini yangu kwamba itafikia wakati Daftari la Rasilimali na Madeni la Viongozi wa Umma litakuwa linawekwa wazi kwa Umma ili wananchi waweze kujua Mali, Madeni na Maslahi ya Viongozi wao na pale ambapo kiongozi ametoa habari zisizo sahihi au kuficha mwananchi aweze kutoa Taarifa kwenye Sekretariat na Baraza la Maadili liweze kufanya kazi yake ipsavyo. Mfumo wa kuweka wazi Rasilimali na Madeni ya Viongozi wa Umma ni mfumo endelevu na muhimu kwenye vita vita dhidi ya ubadhirifu na ufisadi. Mataifa kadhaa duniani hutumia mfumo huu ( public disclosure of leaders’ assets and liabilities) kuwezesha mapambano dhidi ya rushwa na ufisadi. Nchini Uingereza na Kanada kwa mfano, daftari la matamko ya Rasilimali na Madeni ya Viongozi lipo wazi kwa kila mwananchi kuona na huuzwa kwenye duka la vitabu la Bunge. Namsihi Sana Rais John Pombe Magufuli kusaidia kufanya mabadiliko makubwa ya Sheria ya maadili ya Viongozi ili kurejesha na kuboresha Miiko ya Viongozi katika kuimarisha vita dhidi ya ufisadi nchini. Rais aliahidi kuweka wazi Mshahara wake alipokuwa anazungumza katika kipindi cha 360 cha Clouds TV. Ninamkumbusha afanye hivyo na pia aweke wazi Mali, Madeni na Maslahi yake ya Kibiashara ili awe mfano kwa Viongozi wengine Nchini. ACT Wazalendo is a party that stands firm on democracy and the due process that comes with it, steadfast in ensuring that the voice of the people is heard and adhered too without compromising on the principles of democracy. What has transpired in Zanzibar has left us both in awe and disgust on how certain individuals can manipulate the system to best suite their crude desire for power. Right after the nullification of the elections in Zanzibar, ACT Wazalendo was firm in its stand that democracy was being toyed with and that the Zanzibari peoples wishes were not respected. It is the party’s firm belief that Maalim Seif Sharif Hamad was the chosen president for the people and by the people. We raised ten (10) points of caution to President Magufuli; as the custodian of democracy in the United Republic of Tanzania for him to take to task, one of them being the current situation in Zanzibar showing all signs of lacking any democratic decorum. This plea unfortunately fell on deaf ears and the outcome of this negligence was the re-run of the Zanzibar election in March, which to date still bids the question of the legality and mannerism of how it was conducted. ACT Wazalendo continues its fight for a booming democratic environment in Zanzibar that would foster the growth of new age politicians who are not intimidated by sheer police brutality or the power of the state. With this stand, ACT Wazalendo, has continually denounced the legality of the election in Zanzibar and has chosen not to recognise the current government of Zanzibar in its totality for, if there is ever a doubt that ones rights are infringed the party will not stand by those who infringing the rights of another. Chaos breeds fear and fear has no part in the struggle to attain justice. Dr. Shein recently has been quoted saying “I am not afraid of Maalim Seif, for he does not have no posses tanks or ammunition”. In hindsight he is right, Maalim Seif does not possess the power and might of the state, after the sabotage that took place in October 2016 he is merely a citizen and former 2nd Vice president of Zanzibar. But let us not forget that he also happens to be the leader of a group of people on the Isles, maybe he does not require military might to be feared all he needs to do is get the attention of his followers. Maybe this was the trigger effect that made the army interrogate the politician when he simply wanted to practice his democratic right to be heard. ACT Wazalendo cannot condone the words said by Dr. Shein, for one they are beneath him and beneath any self respecting citizen of the United Republic of Tanzania, we were liberated; one half by good diplomacy and the other half by force. It would be wise for Dr. Shein to remember the seat that he is clinging on comes with its own history, and it should be a lesson to him no to mock the people by threatening them with military might, after all the Sultan of Oman, not only had his army but also the backing of the then hegemony United Kingdom, this did not stop those who could not stand injustice to stand up against military might. Words such as those uttered by Dr. Shein only work to remind us that Zanzibar is not a step sibling that we can ignore, that such mishap and insensitivity from a seasoned politician leaves the isle vulnerable to many a thing, we do not want to see our brothers and sisters shed blood…again. As a party, ACT Wazalendo is fully aware of the hardship that faces the Zanzibar people, the political tension translates to a stagnant economy and a demoralised society. We do understand that there is a need for the people to take control of their state but we firmly believe and have not lost hope that the process be ballot and not bullet. One way of ensuring that the Zanzibari people walk away the winners and not just the politician, is for those who want to serve the people to lower themselves and consider their people first and not self gratification. If we may, let us restart the clock again for Zanzibar, go to the ballot and ensure that the peoples wishes are respected no matter what the outcome maybe. Some may argue that how can we restart the clock? That at no point in time can a state be without a leader. For this we say, have a transitional government that comprises of members from all political players on the isles, let that government involve people who are respected by all fractions of Zanzibaris. Possibly the greatest thing for the Zanzibari people to do is to ignore the blatant attack on their integrity and rights by Dr. Shein, for he may have not known better. Let history be a reminder for him and a point to remember for the people on the isles that throughout oppressors have met an unfavourable outcomes, we do not wish to see the same for Zanzibar no do we wish for their good name to be tarnished. The Kigoma Ujiji Municipal Council (KUMC) has passed an unprecedented motion raised by the constituency MP, Hon Kabwe Zuberi Ruyagwa Zitto, to establish the Kigoma/Ujiji Municipality Social Security Scheme (KUMSSS). This happened on the full council meeting held on 30th January 2016. This motion is the first ever of this kind in Tanzania. The main purpose is to seeking to extend universal health coverage to the entire population of the constituency by 2020, boost local savings through social security in order to raise enough capital for long term investments in the Municipality and provide pension to elders. The motion was raised during the first full KMC meeting by Hon Zitto (ACT, Kigoma Mjini ) who presented through components to this project (universal health coverage, pension, and access to credit for primary societies). If implemented, the project will register 20,000 members, representing roughly half of the Kigoma/Ujiji Municipality (or 120,000 individuals). The Municipality has resolved to start grouping potential members into Primary cooperative Societies through various affinities such as profession, economic activities and area of residence. ‘Through a matching system, members will only pay half of their contribution’ continued Hon Kabwe. A matcher (Municipal Coucil itself, Constituency Development Catalyst Fund and The World Bank ( to be approached) would match tshs 10,000 to the member’s equivalent contribution, over a period of 3 to 5 years. In order for the KUMC to implementing the project, they would have to discuss with the National Social Security Funds (NSSF) to develop this special scheme for management purposes and contact the World Bank to assess whether they would join this fantastic project. Through Primary Societies, Members will benefit from potential credits from NSSF, said Hon Zitto. This idea has been tested with coffee farmers of Rumaku in Kalinzi (Kigoma North) and can be duplicated to smaller groups in the informal sector such as bodaboda, hairdressers, vendors etc. Each member will benefit from total health coverage and the benefit will be extended to 5 of his or her family members. This means that just through this scheme, an average of 120.000 individuals will receive primary healthcare. This is the flagship benefit used to attract members in the scheme. Any health expenses will not be deducted from the members’ savings. However this is not the only benefit of the KUMSSS. Primary societies will be eligible to apply for loans. Members would collectively get mid-term loans to sustain and expand their businesses, then pay back within 3 to 5 years. This collective liability for loans will constitute a guarantee for reimbursement. By expending their businesses members will increase their savings and hopefully create employment. Another important benefit is pension. From the 15th year of continued contribution, members will have the choice to withdraw from the project by taking 15 years’ worth of contribution and dispose of the money to quick start projects, invest or spend it as they please, or decide to go for the pension scheme, allowing them to retire comfortably, in dignity. However, member who will opt to withdraw from the project will only withdraw their half of the money in their accounts, constituting their own contribution. Meanwhile, NSSF would have to look with more attention to the Kigoma Municipality needs in terms of infrastructures and job creation investments financing. This potentially increased income will raise the need for health infrastructures, electricity and roads following the probable small enterprise boom that will likely take place over the next few years. The Municipal Council directed the Municipal Director to look into ways of including social security scheme membership as a condition for licensing traders, taxi services and other licenses issued by the municipal authority. The motion was unanimously approved by all councillors regardless of political parties. 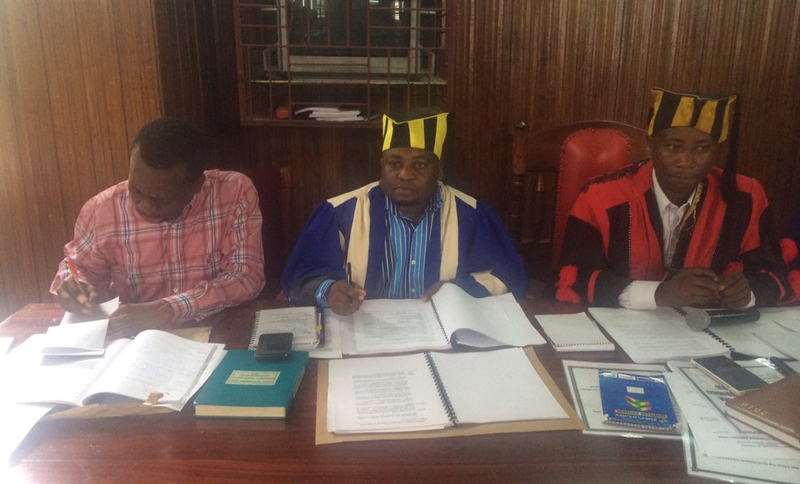 Kigoma Ujiji Municipal Council is made of councilors from three political Parties ACT Wazalendo (20), CCM (7) and CHADEMA ( 1).